Jack Ma, co-founder of Alibaba. 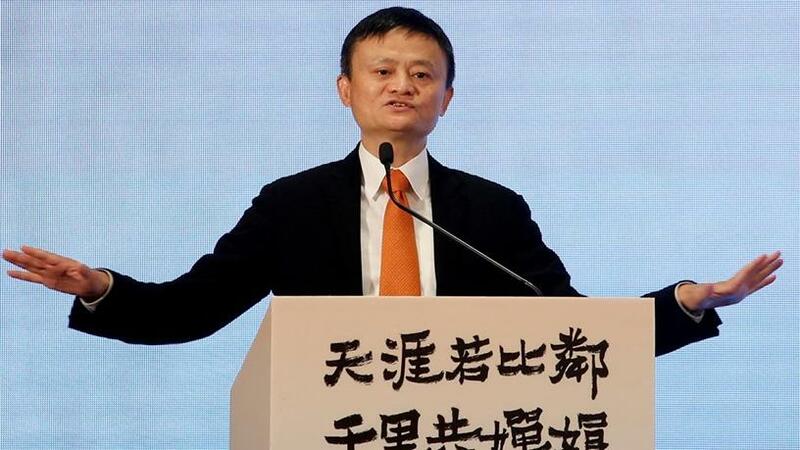 Jack Ma, the charismatic co-founder of China's largest e-commerce firm Alibaba Group, will step down as chairman in one year to concentrate on philanthropy and education, passing on the reins to trusted lieutenant Daniel Zhang. Ma, who turns 54 today, has long flagged plans to step back, insisting that Alibaba management should be relatively young and his retirement is not expected to affect the running of the company. But it is still extremely rare for a founder of big and transformative tech firm, especially one with a cult-like status like Ma, to retire so early. "There's only Bill Gates who has done the same. No other tech founder in the world has just resigned like that at the top," said Rupert Hoogewerf, Shanghai-based founder of the Hurun Report, which publishes an annual influential list of China's richest people. Hoogewerf added that in China, Ma was a figure like no other, with friends ranging from movie stars to billionaire moguls, though he often outshone them all. "He's the big one; he's the one that brings them together." Ma will give up the chairman role in exactly one year on 10 September 2019 and complete his current term on Alibaba's board of directors following the company's annual general meeting in 2020, the company said. He relinquished the role of chief executive in 2013. Zhang, 46, has been CEO since 2015 after serving as chief operating officer and is known as a key architect of Alibaba's "Singles Day", the 11 November event that has become the world's largest online shopping event. Zhang, a former accountant, will also continue as CEO. "Under his stewardship, Alibaba has seen consistent and sustainable growth for 13 consecutive quarters... Starting the process of passing the Alibaba torch to Daniel and his team is the right decision at the right time," Ma said in a letter released by the company. Ma, a former English teacher with no technical background, co-founded Alibaba in 1999 with 17 others and has become one of China's richest people with a net worth of $36.6 billion, according to Forbes. The company, founded at a time when the industry was still dominated by state-owned firms and entrepreneurship was seen as a risky career path, has grown to have more than 66 000 full-time employees and a market value of $420 billion. "He put a human face on technology, and took China onto the global stage, not as a state-owned enterprise, crucially," said Duncan Clark, managing director of Beijing tech advisory BDA and author of "Alibaba: The House that Jack Built". He is also known for his eccentric personality and has donned wigs and costumes to perform highly choreographed pop routines at company events. Last year, he starred alongside Chinese action star Jet Li in a short kung fu film. In the letter on Monday, Ma said he had been planning his exit for 10 years and has previously said he wants the company to last 102 years, choosing a specific number to motivate employees. After he steps down, he will continue to mentor management as part of the "Alibaba Partnership", a 36-member group of core company managers. The group has the ability to nominate the majority of directors on the company's board, and currently five of Alibaba's 11 board members have been nominated by the partnership. Other members include Eric Jing, chief of Alibaba payment affiliate Ant Financial; Joe Tsai, executive vice-chairman of Alibaba; Simon Hu, chief of Alibaba Cloud; and Lucy Peng, who heads Alibaba's Southeast Asia business. Since handing over the CEO role, Ma, who is married with three children, has concentrated on philanthropy and promoting Alibaba internationally at business and political events. In 2014, he and co-founder Joe Tsai set up a charitable trust focusing on the environment and health, funded by share options they own that represented about 2% of Alibaba's equity at the time. Last year, Ma invested 300 million yuan ($45 million) in a rural education project in China. He has also established a scholarship programme in Newcastle, Australia. Ma, who owns roughly 6% of Alibaba's stock and also controls Ant Financial, is stepping back amid more challenging times for Chinese tech companies as sales growth in China's eastern mega-cities shows signs of slowing. Alibaba saw sales at its e-commerce business swell 61% in the latest reported quarter, but its profit margins have been squeezed by big-ticket investments as it battles to maintain its dominant position in e-commerce and payments. The company, which is battling arch rival Tencent for pole position in the food delivery market, recently said it will merge units including Ele.me and Koubei, and raise funds for the combined business. Alibaba also has investments in sports content, microchips and facial recognition technology and has been positioning itself as a serious player in cloud computing.